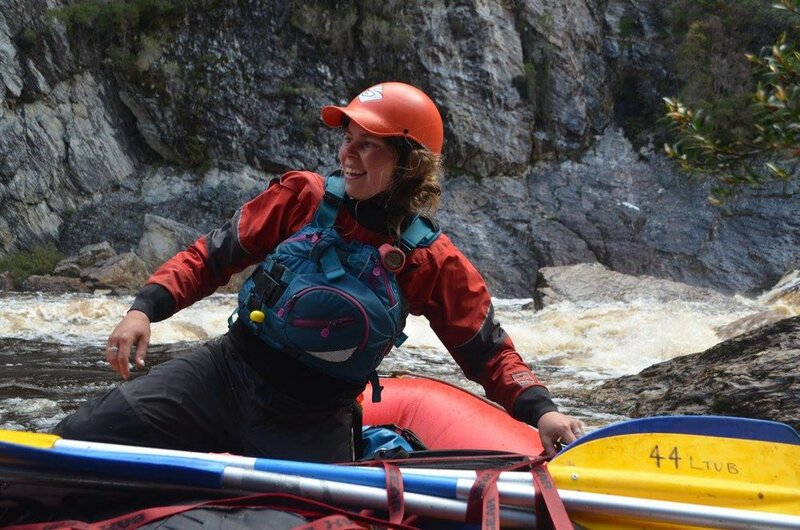 Study/work/adventuring history: Started out as a white water kayaker aged 12, leading to work as a bushwalking and rafting guide while studying philosophy and politics at uni. Spent my 20s travelling the world with my kayak and working as a rafting and canyoning guide in a bunch of different locations. Adventuring highlights included paddling some amazing rivers in Nepal, Tibet and Tajikistan and a month long solo trek along the Great Wall of China. Now with three young kids, getting out of bed in the morning is an adventure. After being a river guide for a number of years, I started CMC with my good mate Tim Trevaskis in 2010. Favorite place in the canyons of Cradle Mountain: Being alone in The Pit, Dove Canyon. Life motto: It could be worse. It can always be worse. Work/study/adventuring history: I sometimes guide rafts and canyons, or work in outdoor education to make a living in parts of this world, and i spend my hard earned dollars climbing in China, Italy and the USA, mountaineering in Kyrgyzstan and Nepal, getting wind-blasted in Patagonia and snowboard down some epic gullyes in France and Switzerland! Favorite place in the canyons of Cradle Mountain: If it can't be the drying shed it would be at the bottom of Freestyle Falls! Life motto: Mountains, cheese and some coffee is all i need! Study/work/adventuring history: Rafted in Switzerland, before canyoning in Tas. Studied biology/ecology. Lucky enough to have been to all the continents! Favourite place in the canyons of Cradle Mountain: Secret Myrtle garden near the beginning of the Dove Canyon and cave below Teacup Falls. Work, study and adventuring history: I fell into rock climbing guiding as an incredibly enthusiastic teenager and have spent the last 16 years trying to find something else to do. I have done a lot of different things, including becoming a lawyer, but as yet, nothing has stuck. I am finishing my final placement to be a paramedic, but will probably still be guiding in another 17 years. Favorite place in the canyons of Cradle Mountain: Horsey Falls … I love it when people manage to pull off their first ever flip! Woot. Life motto: If you can still laugh about it, it’s probably going to be ok! Work/study/adventuring history: Marginally qualified fish farmer, berry picker, waiter, coxwain, kayaker, raft guide and surf coach. Fully qualified marine scientist (BAppSc(ME)) volunteer firefighter, scientific diver, canyon guide and Certificate IV Outdoor Recreation graduate. Aspiring waterman usually found surfing, diving, kayaking, fishing, boating, mountainbiking, bushwalking, cross country snowboarding and jumping off things somewhere in Tasmania. Currently a full-time lumberjack and part-time canyon guide at Cradle Mountain Canyons. Favourite place in the canyons of Cradle Mountain: Chock stone above the laundry shoot pool. Life Motto: Love life, be respectful, learn from failure, recognise oppourtunities and back yourself. Work, study and adventuring history: Freelance guide; recently graduated with an Outdoor Education Degree. 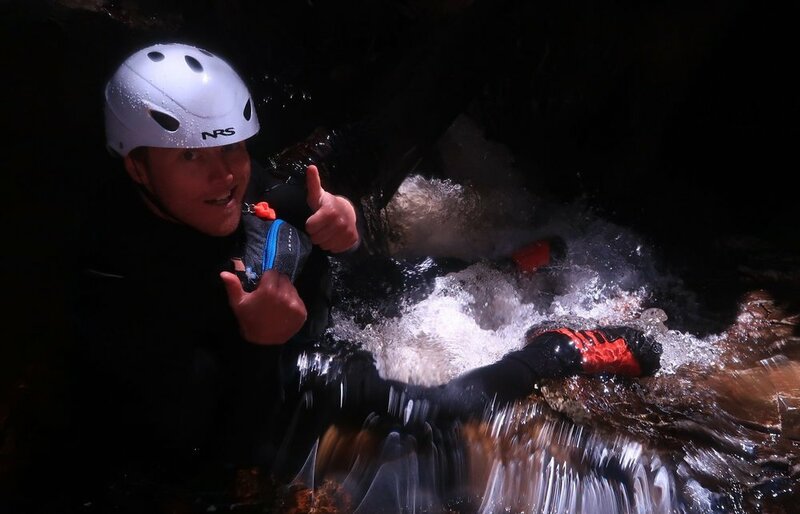 Many outdoor adventures climbing, kayaking and mountain biking throughout Tasmania and Victoria. Life motto: Collect moments not things. Work/study/adventuring history: Studied Cert IV tourism and Cert IV outdoor recreation. Climbing before I could walk, leading outdoor adventures since I was 16. Life motto: Do as I say not as I do. Study/work/adventuring history: Grew up in kooperoona niara (Great Western Tiers) and have always had a strong passion for the outdoors, whether it be fishing, bushwalking, horse riding, canyoning, climbing, rafting, biking or kayaking I am just bloody stoked to be there and get charged up by the natural world. Have been working as a guide for the past six years from Port Davey to Kakadu with Certificate IV in Outdoor Rec and Adventure Guiding under my belt. Future looks like working with the next generations and getting them passionate about the outdoors, getting way more involved in conservation and of course doing flippies at Cradle Canyons! 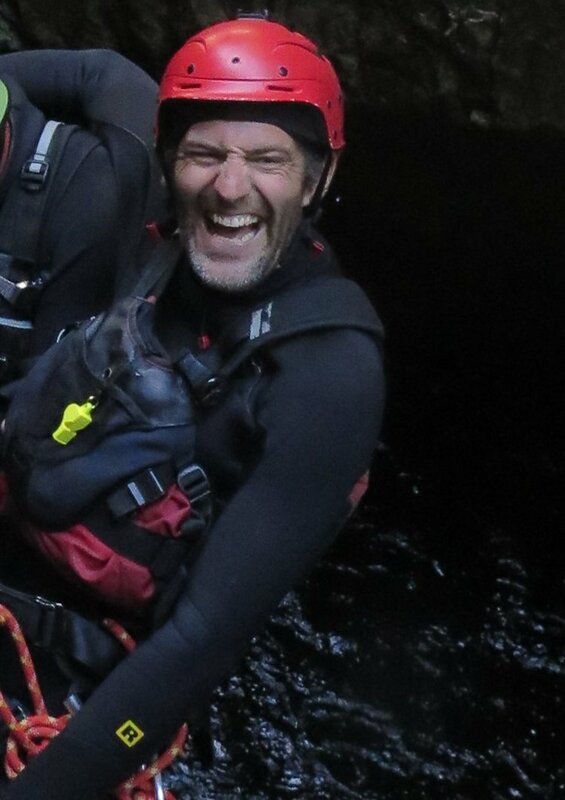 Favorite place in the canyons of Cradle Mountain: Doing whirly whirlys deep underwater after being shot out of the Laundry Chute. Life Motto: Having tried the alternative, I choose optimism, despite it being more enjoyable it gets things done! Work/study/adventuring history: I completed a degree in Outdoor Education at Latrobe University in Bendigo. 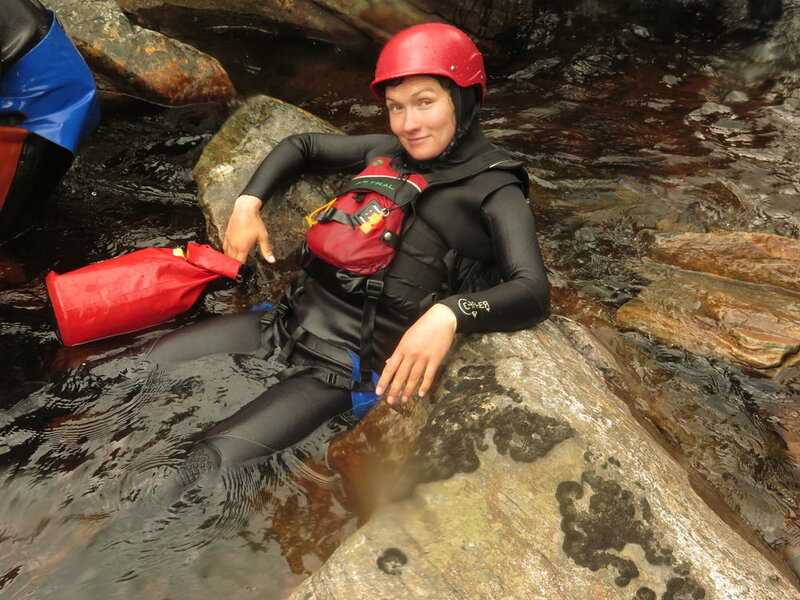 During the 3 years I enjoyed mulit-day adventures in kayaking, rafting, climbing and hiking. In the last few years, I qualified as an Iyengar yoga teacher in 2018. However my biggest adventure is being a mum to two boys. Life motto: Enjoy the ride. Study/work/adventuring history: Tassie born and bred, I’ve always loved mountains and water - sailing, rowing and paddling from a young age; bushwalking, skiing, snowboarding and snow-shoeing. I volunteered at Mountainfilm in Telluride, Colorado after working a couple of seasons (winter and summer) there in my early twenties, and since then wanted to bring the magic of that festival to Tasmania! The Cradle Mountain Film Festival is a melting pot of adventurous types and is Tasmania’s only adventure film festival, incorporating a bunch of fun outdoor activities, films and workshops. Cradle Canyons and CMFF also tour films in Tassie throughout the year.